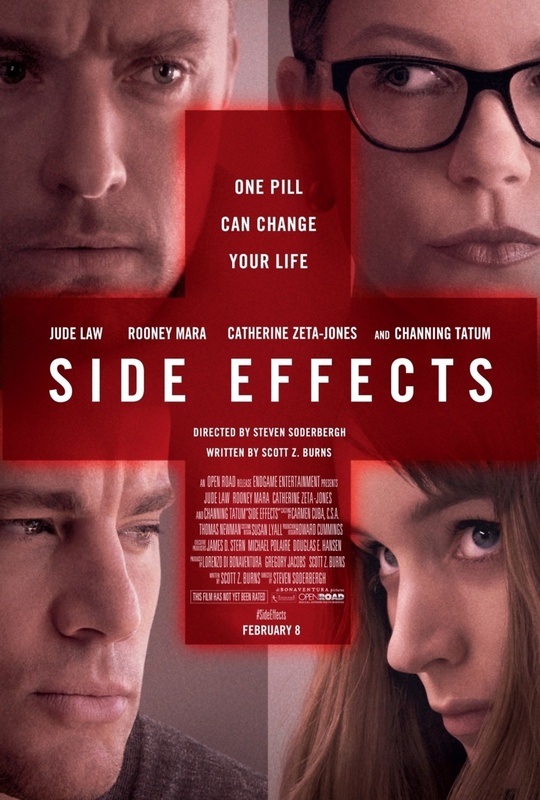 Side Effects DVD and Blu-ray release date was set for May 21, 2013. Emily Taylor had it all before her husband, Martin Taylor, was sent to prison. After Martin is released, Emily suddenly falls into a state of depression in which her emotions spiral downward and she attempts to end her life. Psychiatrist Jonathan Banks is assigned to her case and prescribes her a recently fresh on the market experimental drug called Ablixa. Everything suddenly becomes grim when it is believed that the side effects of the drug caused Emily to murder Martin during a sleepwalking episode. None other than Jonathan Banks is blamed for the entire incident, his life taking a sharp turn downhill. Desperate to prove his innocence and save his career, Banks delves deeper into the case and discovers more than he had ever anticipated.